“Sî Se Drone!”: Music and Slogans for a “New Civil Rights Movement”! The passage of the Corker-Hoeven amendment in the Senate has been called “historic”, “landmark” and lauded in many different visual,, verbal and vibrant ways. Others are protesting at the border and in different cities as if the Corker Hoeven legislation meant more death and destruction. Confusing, right? Needless to say, the passage of the Senate bill has also brought about much confusion and conflict within the immigrant rights movement. Now that the extreme right wing Corker-Hoeven amendment has replaced the hard right wing “Gang of 8” proposal as the new “bi-partisan” Senate “immigration reform” proposal, we “progressives” of the “new civil rights movement” have to fight for and defend sanctity of the Corker-Hoeven legislation from the REAL extremists in the House. 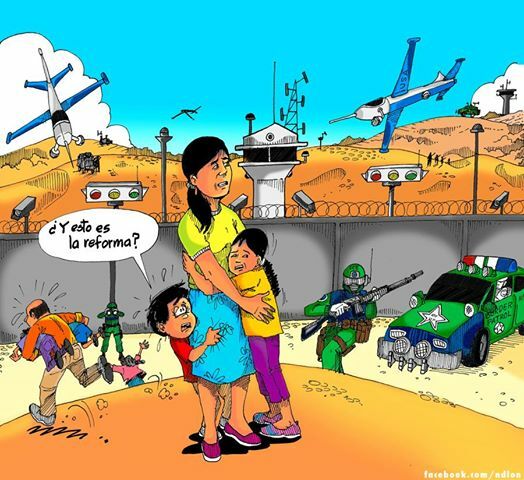 By linking “border security” to “citizenship”, all this legislation has made it neat and cool and necessary for all of us to do our patriotic duty to support 20,0000 new border patrol agents, 700 miles of fencing and national ID cards as part of our “new civil rights movement” progressive agenda. 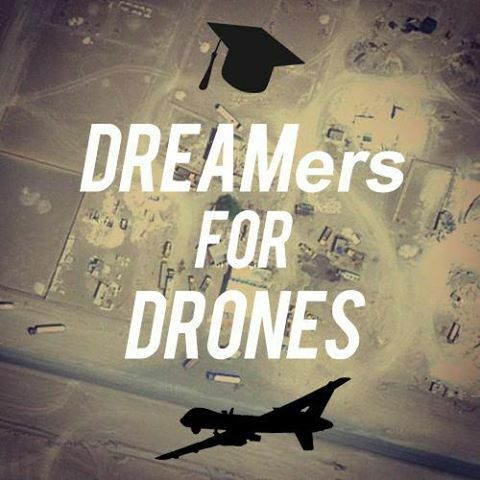 As the pic created by a disgruntled DREAMer shows, Drones and the DREAM act are the essence of political cool. If we don’t fight to protect the DREAM and the drones, things could get worse because the Real Bad Guys in the Republican-controlled House will not give us any part of our “new civil rights movement” freedom. This entry was posted on	June 28, 2013 at 1:04 pm	and is filed under Uncategorized.